In the event of fire, these cables provide circuit integrity and also good EMI screening from outside interference. An ideal choice for applications such as ventilation system and fire pumps in office blocks where during normal operation, electrical interference must be keep at minimum and services must be maintained for evacuation during a fire situation. 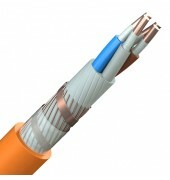 The cables meet IEC 60331 standard and are fire resistant at 750oC for 3 hours. 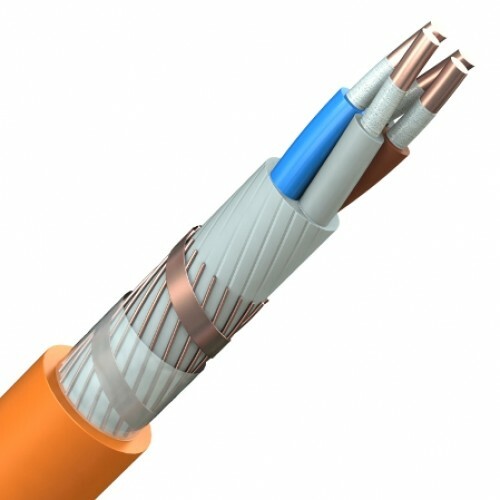 Plain copper conductors to IEC 60228, Mica glass tape as fire barrier, XLPE insulation, LSZH filler, uniform round copper wires wrapped in a helical copper tape, LSZH outer sheath (orange).